By: George.Chatzigeorgiou April 9, 2019 0 Comment. 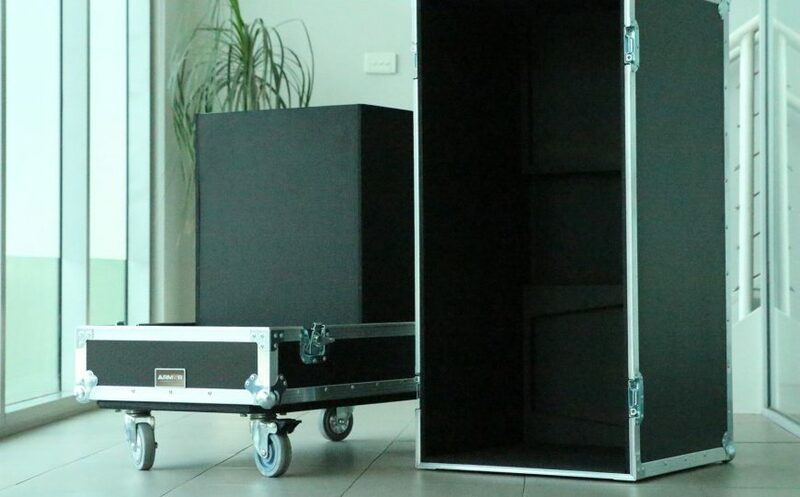 We are very happy to create this custom road case for Sydney’s Opera House for their d&b Q10 Speakers. 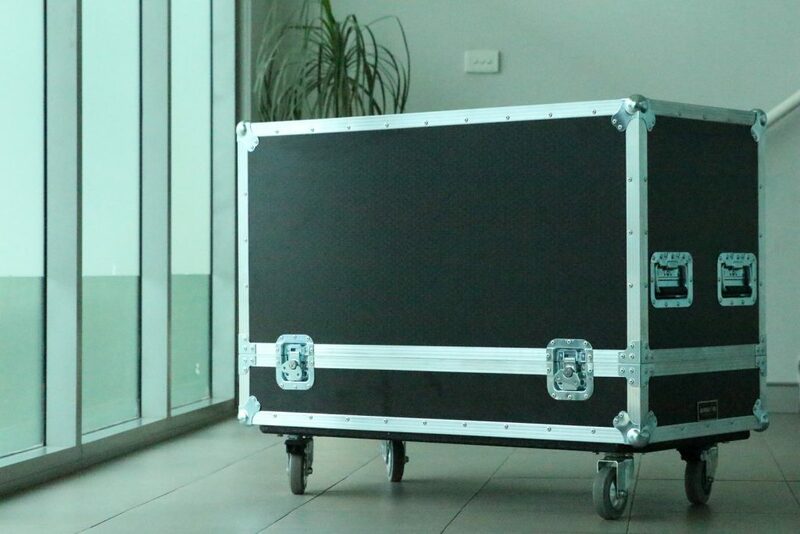 This robust road case was specially crafted for holding 2 exclusive speakers and several accompanying mounting brackets. Specifically, it is manufactured with 9mm thick plywood with an exquisite black PVC coating and lined internally with 10mm dense EVA foam. Aluminum extrusion has been added all around the exterior of the crate for definitive support. Furthermore, we installed latches, recessed handles, and castors for easy movement. With practicality in our minds, we designed a lift-off lid that will give effortless access to the equipment. On the interior of the case 2 custom spaces have been formed with EVA foam that has 50mm of thickness to retain the 2 d&b Q10 speakers sturdy and in place. 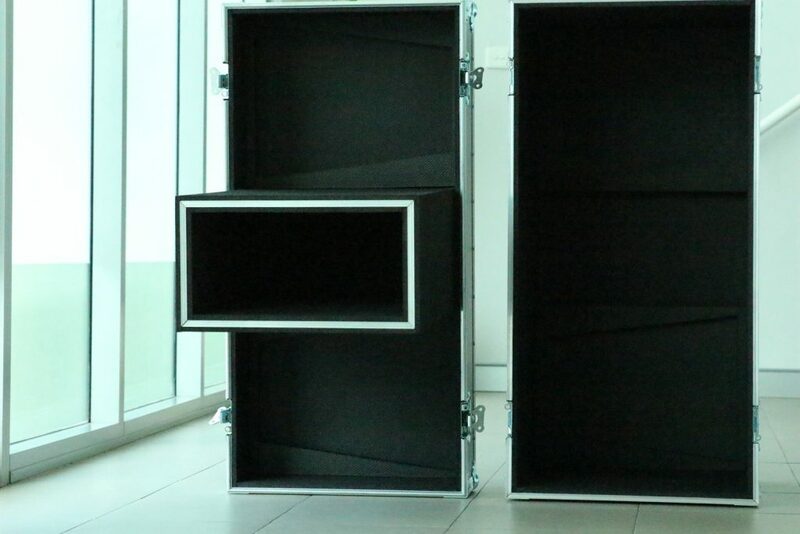 In the centre of the crate, we constructed a tall and hefty tailored box-chamber so that our client can safely store the needed accessories without damaging the speakers at all. In the following .pdf file, you can find the final drawing and specifications for the case. Copyright 2019 Armor Road Cases. All Rights Reserved.